Sulfur for acne? If you have acne and you’re looking for a creative new solution, the answer might be a smelly one. It’s true, sulfur doesn’t have the most pleasant of odors, but it could help reduce your acne. Sulfur has a direct effect on two out of the three main causes for acne, and is most likely to produce positive results with oily and sensitive skin. Usually these skin types require very different care, but because sulfur is drying and gentle, it can work for both. Sulfur is a natural element that could help improve your acne. There has been relatively little research done on the effects of using sulfur for acne, so you may want to take any claims that sulfur is the new acne cure with a grain of salt. But based on anecdotal evidence and the natural properties of sulfur, there’s a good chance it could help reduce acne, even if only a little. It could also help lighten dark acne scars in all complexions, fair and dark. Before trying sulfur for acne, it’s important to know what sulfur is, what about it could help with acne, and what kind of sulfur products are worth trying. This article will investigate all these topics and answer some of the most frequently asked questions about using sulfur for acne. Before we can explore how to use sulfur for acne treatment, it’s important to know what sulfur is. 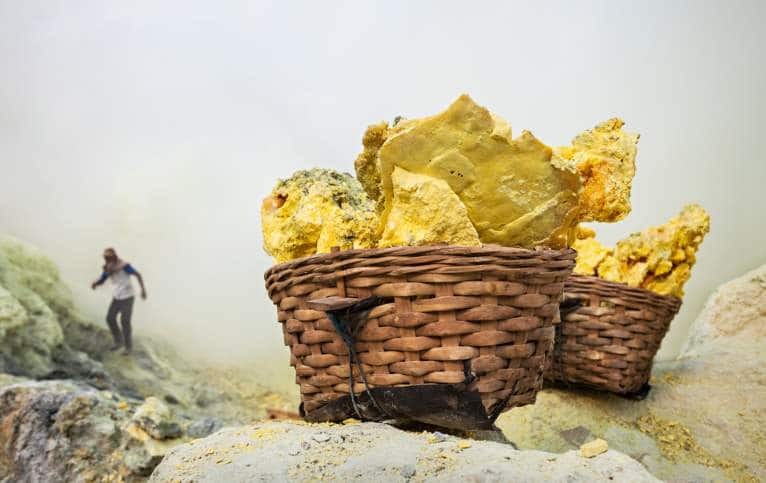 Sulfur is a naturally occurring element commonly found in volcanic areas, and was once known as “brimstone.” In school you may have learned that it’s the “rotten egg element” because sulfur has an incredibly pungent smell, not unlike rotten eggs. It’s a flammable nonmetal with a bright yellow color, and usually appears in crystal or powder form. It is also integral to all life on Earth because it is a key element for two essential amino acids—it actually makes up 0.3% of the human body. Pure sulfur is also present in other minerals like gypsum or Epsom salts. Sulfur can also be made into important compounds, such as sulfate, sulfides and sulfuric acid. These are used in everything from shampoo to fertilizers. Other compounds are natural, but harmful. For instance, sulfur dioxide can be found in coal and volcanic material, and when released into the atmosphere through burning or eruption it can lead to acid rain. Sulfur and its many compounds range from essential for life to deeply toxic, so it’s important to find the appropriate sulfur for acne treatment. A good sulfur acne treatment will contain pure sulfur, not sulfide or sulfate, and is usually combined with sodium sulfacetamide, glycolic acid, or other acne-fighting active ingredients. Some substances have been used since humans started recording their goings about, such as pumice or honey. Because sulfur is an element and not a laboratory-made compound, it could be another substance whose usefulness transcends time period. Some sources claim that Ancient Egyptians used it to cure eczema, an itchy skin condition, while others cite Ancient China as the first society to utilize sulfur. Sulfur is said to have had a powerful impact on European medieval medicine, as a way to balance out the “humours” that were said to rule the body. However, proof of this early use is lacking at this point in time. It would make sense for ancient peoples to take advantage of sulfur’s natural exfoliating qualities, but we can’t say for sure. Sulfur for Acne: How Does it Work? Although there is not necessarily significant evidence confirming the effectiveness of sulfur for acne, it does possess certain properties that make it a logical acne-treating agent. Acne is caused primarily by three things: inflammation, bacteria, and sebum (natural skin oils). Sulfur can provide mild solutions to two of these three issues. Sulfur fights acne-causing bacteria and exfoliates the skin. Blackheads and whiteheads form when the skin becomes inflamed slightly, which causes pores to get clogged with sebum and dead skin cells. Papules, pimples, and cysts, on the other hand, form when the skin becomes inflamed and traps acne-causing bacteria beneath the surface. Sulfur is most useful for treating blackheads and whiteheads, and preventing pimples; it is not overly effective for treating pimples that already exist. You may want to consider using sulfur for acne if you primarily have blackheads and whiteheads because of its natural drying properties. Although you never want to dry out your skin too much because it can lead to skin irritation and inflammation, which can cause more acne, the drying properties of sulfur can help clear away excess sebum and exfoliate the skin by removing dead skin cells. This can break up the sebum and dead skin cells that clog pores and prevent the skin from producing the excess sebum that caused the blockage to begin with. Sulfur could also help prevent the development of pimples because it is a bacteriostatic agent. This means that it fights bacteria, but doesn’t kill them. Instead, it prevents them from reproducing, thus limiting their numbers and decreasing the likelihood of pimples. Scientists aren’t entirely sure how sulfur does this, but it does seem to be a reliably observed phenomenon. The only cause of acne that sulfur doesn’t address is inflammation, but there are some products that combine an anti-inflammatory ingredient with sulfur for acne treatment. Usually oily and sensitive skin don’t have a lot in common—the excess oil in oily skin can cause breakouts, but it typically protects skin and prevents it from being too sensitive. But both oily and sensitive skin could benefit from using sulfur. This is because sulfur is a gentle drying agent. The “gentle” part is why sensitive skin usually responds well to sulfur-based acne products. Even though sulfur is drying, it is less intense than many other active ingredients in other acne products. If you have sensitive skin, you may find that using a sulfur acne facewash or applying a sulfur acne mask once a week could help clear your skin without causing redness and irritation. For the best results, you will likely want to supplement any sulfur treatment with a gentle, moisturizing acne treatment system. Oily skin benefits most from the drying effects of sulfur. Oily skin produces an excessive amount of oil which can clog pores and lead to blackheads and whiteheads. Acne treatments that are designed to kill bacteria or reduce inflammation may not be overly effective with oily skin because the active ingredients in the treatment cannot break through the extra oil and get to the skin. Sulfur can dry out that layer of oil, making it an ideal addition to an anti-inflammatory, antibacterial acne treatment system. Regardless of your skin type, you should always test a new acne product before applying it all over your face, chest, or any other large area of skin. When trying a product containing sulfur for acne treatment, apply a dime-sized amount to your forearm and let sit for the instructed amount of time. If your skin burns, itches, or turns red, gently wash off the product and do not use on your acne. Like sulfur for acne treatment, there isn’t much research on the effects of sulfur for acne scar reduction, but its exfoliating nature could help even out your skin tone. Many people with acne are left with dark marks after a pimple or other acne has healed. This is called post-inflammatory hyperpigmentation, or PIH. These dark spots could last anywhere from a few days to a few months for those with fair skin, but for dark skin, hyperpigmentation can last months or even years. Although there are skin lightening products that could reduce hyperpigmentation in dark skin, they are also capable of creating light spots, and sometimes they can make dark acne scars even darker and give them a purple tint. Sulfur may be a useful solution due to its mild exfoliating properties. It clears away dead skin cells and encourages new growth, and it isn’t as harsh as many common skin lighteners. Very little research has been done on the use of sulfur for acne scarring, especially in skin of color, so if you choose to try it, make sure you test it on your forearm first, and discontinue use if you notice any discoloration. Since there is technically no solid research confirming that using sulfur for acne produces positive, reliable results, you should not replace your current acne care with a sulfur-based product. If you’d like to try treating your acne with sulfur, you will likely see the best results by adding it to a gentle acne treatment system. A treatment system often involves multiple steps, which can be a pain, but it’s the best way to keep your skin healthy while reducing acne. Sulfur is most effective when combined with a consistent treatment system like Exposed Skincare. The best treatment systems, like Exposed Skincare, will do three key things for your skin: cleanse, treat, and moisturize. Cleansing your skin can prevent clogged pores and remove any excess sebum that might prevent the treatment step from reaching your pores. Treatment actively fights acne, but that can be hard on your skin, which is why you also need to moisturize. It’s tempting to focus only on the treatment step, but that can dry out skin and actually lead to more acne. There are plenty of good acne treatment systems on the market right now, but we recommend Exposed Skincare because their products are gentle and effective. They won’t dry out your skin, and they’re so confident that they’re product works for everyone that they offer a one-year guarantee. If you decide to try it and use all of the products within a year and still aren’t happy with your acne, they’ll give you a full refund. Nobody loves their acne, so it can be easy for acne companies to rip you off by promising amazing results. But if a company is willing to reimburse you if their product doesn’t work, they don’t just care about their bottom line, they care about your skin. Which Sulfur Acne Product is Right for You? There are lots of products that use sulfur for acne treatment, so which one is best for you? 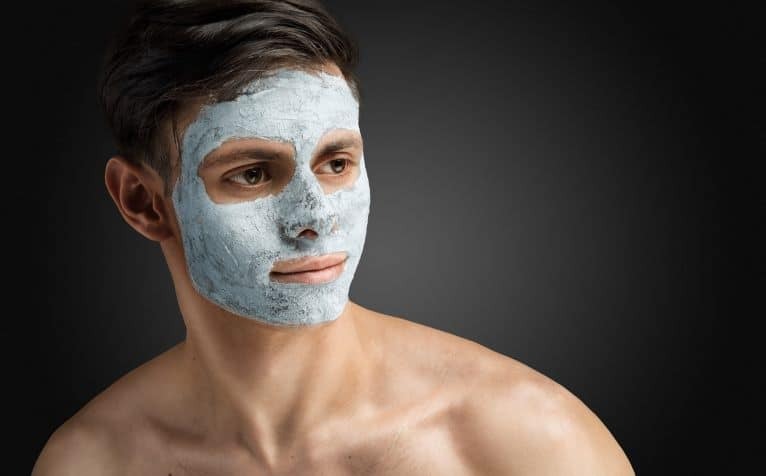 Let’s take a look at three of the most popular options: a sulfur clay mask, foaming sulfur soap, and sulfur spot treatment. These are ideal for those with oily skin because it allows the sulfur to set on your face longer and remove more oil. Combined with the clay, which can also dry skin, this can be a powerful drying tool, and should only be used once a week, at the most. If you have sensitive skin, you should test out a sulfur clay mask on a small section of skin to see how it reacts. If you have combination skin, you can try the mask on your full face or you could apply it only to the oily areas. Sulfur clay face masks can be a fun way to treat acne. Before applying a sulfur clay mask, use a mild facewash and splash your face with water. Pat dry with a towel, then spread the clay on your face, careful to avoid the eyes, mouth, and eye brows. Follow the instructions on the sulfur clay mask you buy, but most face masks are meant to set for no more than 20 minutes. After the allotted amount of time, gently rinse the mask off. Resist the urge to scrub, this will only irritate the skin. Instead, splash your face with water and remove the clay as gently as possible. This product could work for oily or sensitive skin types, depending on how often it’s used. If you have oily skin, you likely wake up in the morning with some oil, and continue to produce a large amount of oil throughout the day. Washing in the morning and evening with foaming sulfur soap will start your day with minimal oil, and remove the day’s oil before you go to sleep, keeping your pores clear through the night. No matter how oily your skin is, you shouldn’t wash your face more than twice a day. This will irritate the skin and potentially cause more acne. 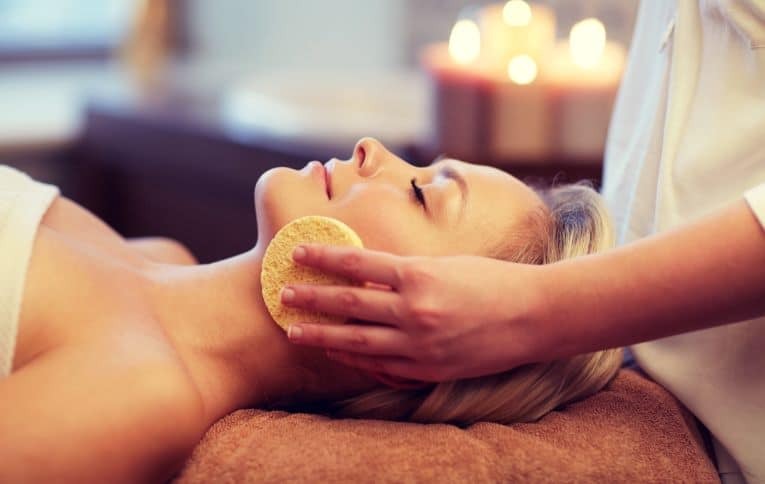 Sensitive skin could become irritated from using sulfur soap twice a day, so you may want to start by using it once a day, or even once every other day. If your skin reacts well, you can try using it in the morning and at night, but if that proves to be too harsh, we recommend washing your face with a moisturizing facewash in the morning and with the sulfur facewash in the evening. This spot treatment is a little different from most spot treatments, which are meant to reduce visible pimples. Sulfur doesn’t help treat pimples that you already have, it can just help prevent them when used in a foaming facewash. Sulfur spot treatment is better used for blackheads and whiteheads. Simply apply a small amount of the spot treatment to the affected area and let it sit until you rinse it off at the end of the day. We do not recommend applying spot treatment more than once a day. That will almost definitely dry out your skin and cause more acne. Although acne benefits primarily from sulfur applied topically to the skin, sulfur can offer other health benefits when taken orally, either as a supplement or through increased intake of naturally sulfurous foods. Since sulfur is notorious for its rotten egg smell, it should come as no surprise that eggs can be a good source of sulfur. Wine, meat, and arugula also contain significant amounts of sulfur, but if none of those sound appealing, there are a variety of supplements that contain sulfur as well.Some studies show that increased sulfur could help treat allergies, bladder disorders, depression, athletic injuries and more. Note: If you have any of the previously mentioned conditions, do not dramatically increase your sulfur intake without consulting with your doctor. Sulfur could be an additional aspect of treatment, and is not meant to replace other medical care. 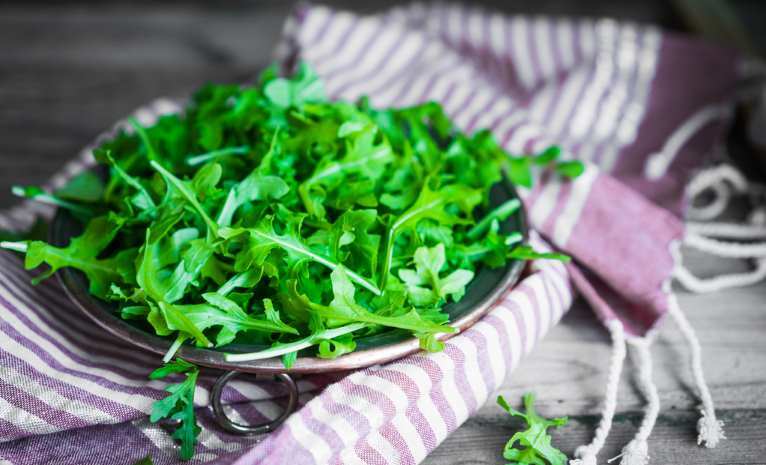 Certain foods, like arugula, are rich in sulfur and can help treat a variety of medical conditions. I’ve been using sulfur for two weeks now, and I don’t notice any difference. Should I try to get my money back? Treating acne can be incredibly frustrating, because most products don’t work right away. Unfortunately, sulfur is the same way. If anything, sulfur can sometimes take even longer than other products to produce results because it’s such a gentle ingredient. If you are using sulfur on its own to treat your acne, try adding a full acne treatment system to your skincare routine. Use the treatment system and sulfur treatment consistently for 6 weeks. If you don’t see results at that point, then it may be time to consider other options or talk with a dermatologist. A word of warning: using more sulfur will not produce faster results, it will only dry out your skin. The best way to see positive results from sulfur treatments is to use it regularly in small amounts. I don’t love the smell of sulfur acne products. Are there any options with a better scent? The biggest downside to sulfur treatments is the smell. It’s often described as being like rotten eggs, so that’s not great. However, it’s a necessary evil. There are some sulfur products that have added fragrances that make it smell better, but those products won’t be as effective. The chemicals that make up the fragrance are very likely to irritate the skin, which will cancel out all the acne-fighting benefits of the sulfur. The scent is definitely a deal-breaker for some, so if it’s too stinky for your taste, don’t try a sulfur product with added fragrances, just try another product. If there’s no research that proves sulfur is good for treating acne, should I even try it? This is a great question for a lot of popular acne solutions. Many solutions you see online, like toothpaste or lemon juice, may not have much scientific evidence supporting their effectiveness in treating acne. However, it’s important to research carefully. Some solutions have been studied carefully, and the research concludes that they are not effective for treating acne. However, some solutions, like sulfur, simply haven’t been studied. So it hasn’t been disproven, but it also doesn’t have scientific support. The difference between these may not matter to some people. It just depends on your personality. Do you want to try something a little more experimental? If you have serious acne or very sensitive skin, or if you have a great acne routine already, it may not make sense to try sulfur for acne, since it’s relatively untested. But if you primarily have oily skin and get mostly blackheads, it could be something new worth trying. This isn’t to say that all the internet fads are legitimate just because they aren’t disproven. It just means sometimes you’ll have to do your own research. Sulfur is bacteriostatic and drying, and based on those qualities, it is reasonably possible that it could treat acne. is there any danger in using cream or lotion prepared with content of herbs and sulphur ? I'm not Asian (I'm Caucasian) and had the same issue as the example of the first woman. Reaching my late 20s with acne and no creams/pills the doctor prescribing worked. I went to Iceland recently and within a week my skin was almost clear (which is very rare) the water there smelt of sulfer due to being a volcanic island. I've been using pure sulfer (a tiny amount) in my bath water every other day for the last 2 weeks and my skin has never been better! are you using sulphur soap or ointment? can you provide the link of the product u using? My thoughts exactly. I cannot say that this information is incorrect, but because skin color and ethnicity was used to determine skin type, I will be looking elsewhere for information on this subject. At least the author did put in the disclaimer that this was his/her personal opinion, not facts. Don't be pedantic. Anyone can see that every race (or "heritage" if you insist on being stupidly offended) has its typical features which can include facial structure, hair color, and -guess what!- skin tone. My pale, yellow-tinted skin is different from a redhead's pale, freckled skin, because I'M ASIAN. (I lean so far left in my ideology, I practically tip over! I'm older, though, so I'm a bit past the point of taking things on the chin EVERY SINGLE TIME.) This is an incredibly divisive issue and a critical tipping point [again] in racial/social issues; I do not want to belittle anyone who cares. But this is all talk that should be focused on everyone helping with FACIAL #emilylitellaSNL, not racial issues. I'm with you, CD! ; D P.S. I have a lot of yellow in my skin. "Asian" covers a lot and could we say that the reference to Asian here is all inclusive of East Asian, SE Asian, South Asian, Middle Eastern, parts of Russia, parts of Turkey? Can I use Sulfur Soap as cleanser, together with Banzamycin and Retinoic Acid? Or would it be too strong to use them altogether? please guide me. Can I use sulfur soap to wash my hair or whole body during bathing?